Is Your Dog Biting You or Your Family? In reality you should definitely look into the advice of a local professional who can come in and help with this problem. The problem is in finding a local professional who has the skill and knowledge to address this problem using reward based techniques. Do your research and never follow any advice that you do not feel comfortable with. In the meantime here are some suggestions that can get you on the right track. Never push your dog into a bite mode. Always remember, never push your dog into the bite mode. And if you are concerned that your dog will bite you, always take the necessary safety precautions to set up a safe situation for you and anyone who is helping you work on this problem. A properly fitted wire basket muzzle is almost a requirement in maintain safety during these exercises. When working with aggression, I never use a nylon muzzle for many reasons. First, you can not see your dogs facial expressions that give you early warning signals and also they tend to restrict your dog from freely opening and closing their mouth. All muzzles to be properly introduced by filling them with treats and allowing the dog to eat the treats from in side the muzzle. The first few weeks the dog never wears the muzzle, only eats food from the muzzle. Only after your dog is comfortable pushing their head into the muzzle should they start to wear it. When a dog bites when we are reaching toward them, it is usually to keep our hands away from them because they think we are going to take something away from them or maybe they think we are going to hurt them. In either case they are saying to us, keep away from me. Our goal then is to teach them that when a hand reaches toward them, it is not to take something from them or hurt them, it is to bring some good or better than what they have presently. This is a mind set. So to begin on this journey we must establish some simple rules and games to get this message across. One of the first things that I recommend for aggression towards the owner is to pick up all the toys and pick up the food bowl from the area. These are your items that you share with her. After you have gathered all the toys, you need to rate them as to the least favorite to the most favorite. This is easy to do. Simply hold two toys, one in each hand and present them to her. She will choose the one she like better. By presenting each toy side by side we can allow her to show us which is her favorite. Just like in a tournament toy A vs toy B. Compare each toy in this way to find the order of favorites. When ever you play with her start with the least favorite toy. Then during the course of the play introduce the next favorite toy by showing it to her and waving it around. This should cause her to drop the first toy to get the next favorite toy. As soon as she drops the toy she is holding, throw the toy you have and while she is running to get that one pick up the one she dropped. After she has the next favorite toy remove the lesser toy and put it away. Work your way up to the most favorite toy and after a little play let her get bored with it. You can exchange this toy for a super treat to continue play. Remember, the treat you present she must want that more than the toy. Also remember, all the toys and the food are yours that you are sharing with her. You bring these valuable objects to her. This is all part of the mind set, that if we invade her space it is for something good to happen. This play exercise takes place during the course of her rehabilitation. The next exercise deals with meal presentation. This is an eight week course of action. Anytime she shows any aggression you will need to go back to the previous step in the program. So it can take longer than eight weeks. For the first two weeks all meals must come from the owners hands in small amounts. Grab four or five kibbles and hand feed her. Take your time. You can also ask her to perform simple exercises for these bits of her meal. The important point here is that your scent is paired with her meal and you are in charge of when she gets it. It also establishes that when you reach toward her it is to bring her something of value (food). Replace the food bowl. Every two minutes walk up to it and drop in four or five kibbles and walk away. Wait two minutes and repeat. Continue this pattern until her meal is gone. Of course she will finish these few kibbles very quickly, but our goal is to create the mind set of her wanting us to invade her space (food bowl). Separate her meal into two halves. Put half of her meal in the bowl and while she is eating walk up and reach down and drop in a super tasty piece of food. This food has to be way better than her meal. After she finishes this bowl of food wait for two minutes and do the same thing with the last half of her meal. Again the whole premise of this exercise is that we are trying to create the situation that if we reach down to invade her space we are bringing something better than what she already has. Creating the situation where she would pray for you to invade her space. Now we are ready to test our training. Put down her entire meal and while she is still in the process of eating it, call her and show her your super food. If she leaves her meal to come to get the food you have then we are on the right track. Give her this treat and let her return to her meal and finish it. This test shows us that she understands that we do have someone better to offer her. If she does not come to you and finishes her meal and then come to you, then I would go back to step three for another week. Of course, these are behavioral exercises and should be done in conjunction with an obedience program. Obedience has many important lessons to teach impulsive puppies. The stay exercise is important because it will teach her that she can not always do what her first impulse tells her to do. Before you can teach stay you must work your way up to that level of complexity. A well structure training program will present this in a way that it is easy for you and your dog to understand. Dogs that bite need to know that they live in a structured environment that has rules and boundaries and that they simply can not behave like wild animals while living with people. Attention exercises are one of the best exercises that you can do with an aggressive dog for many reasons. One reason is eye contact is not a threat, second focusing on you and ignoring everything around them is a great way to build a strong bond and connection between the dog and the owner. Of course, these are dog behavior modification exercises and should be done in conjunction with an obedience program. 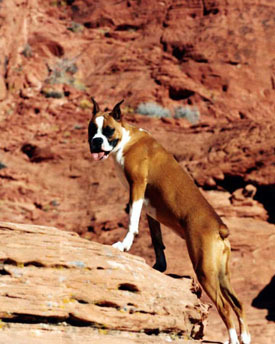 Dog obedience training has many important lessons to teach impulsive puppies. The stay exercise is important because it will teach her that she can not always do what her first impulse tells her to do. Before you can teach stay you must work your way up to that level of complexity. A well structure training program will present this in a way that it is easy for you and your dog to understand. 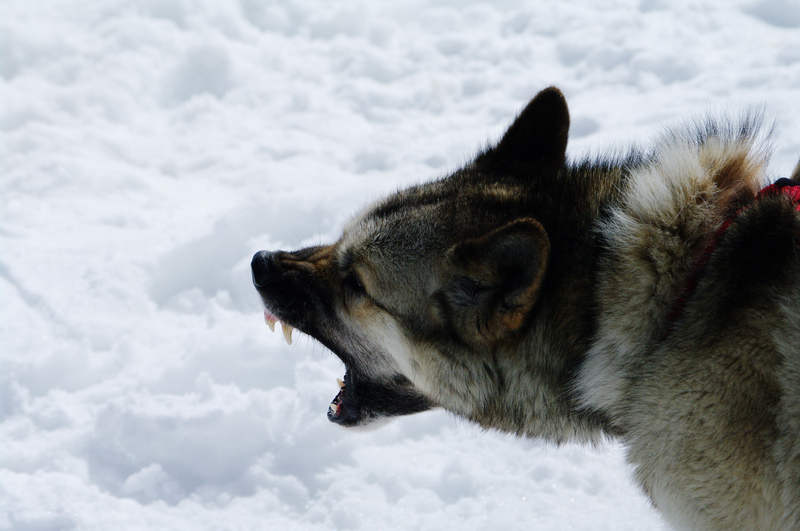 Dogs that bite need to know that they live in a structured environment that has rules and boundaries and that they simply can not behave like wild animals while living with people. The best time to start puppy training is the first day you bring a new dog into your home. Previous post: Discover The Reasons For Proper Motivation In Dog Training. Next post: Should The Stay Command Be Taught or Implied?